A short, pleasant walk links the two Abberley churches. This trail explains the building stones used in the Norman church of St Michael, which is built on Saxon foundations, and the 150 year old church of St Mary. This trail takes approximately one and quarter hours to complete. The Abberley Hills provide some wonderful scenery and viewpoints in north-west Worcestershire. 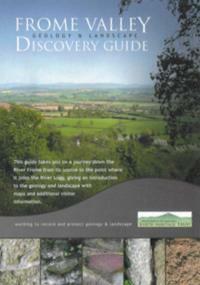 This guide describes the landscape and explains its origins and takes you on a walking trail largely along the Worcestershire Way. The Way is a long-distance footpath that passes many old workings where the rocks have been quarried in the past for roadstone or building stone. This trail takes two to three hours to complete. his six mile walking trail takes you through the contrasting landscapes of the rural Worcestershire parish of Martley. The trail begins on ground underlain by Triassic sandstones before passing onto Silurian aged rocks in the hamlet of Kingswood. From here, the route traverses a variety of Silurian aged rocks on its way up and over Pudford and Rodge Hills. Descending Rodge Hill and travelling east, the trail revisits Triassic rocks before encountering a ‘Fossil Hunt’ around Penny Hill. The final section of the trail follows a pleasant route back to St Peter’s church. An easy, two and a half mile walk around central Martley, taking in varied geological features including the celebrated Martley Rock site. The trail visits the historic Norman church of St Peter’s, built from local Bromsgrove Sandstone, a building well worth exploring inside and out. Traversing Martley Rock and the high hills of the parish with marvellous views of the Cotwolds to the east and the Black Mountains and Wales to the west. Descend to the bank of the River Teme, to the old weir and site of a long gone village at Kingswood; find fossils more than four hundred million years old in the woods around Penny Hill Quarry. This is a strenuous trail not suitable for youngsters or for those a little less able. The River Teme winds its way through Herefordshire and Worcestershire. The Teme valley is notable especially in the Shelsleys area for the locally abundant deposits of tufa and travertine. These calcium rich deposits formed, and in some cases are still forming, as spring waters are discharged through the underlying limestones. Travertine is the harder form of the calcium carbonate deposit known as tufa and was used locally for building stones. A prime example is the church of St Andrew in Shelsley Walsh but there are many other examples of local buildings where tufa and travertine were utilised for building stone or decorative features. The Southstone Rock trail will explore this fascinating geological feature as well as looking more generally at the archaeological and ecological aspects of tufa and travertines. The trail starts and finishes at the Guildhall, on the High Street. This elegant eighteenth century building is one of the finest Guildhalls of its type in the country and is a harmonious blend of brick and natural stone. The examples of building stone, which are described in the guide, have been selected to illustrate both local types, usually found in the oldest buildings and more exotic rocks which became available later. The trail follows a circular route and takes about one and a half hours to complete. 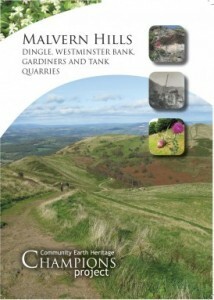 Available at Worcester City Tourist Information and from H&W Earth Heritage Trust. The building stones used in Worcester Cathedral were formed in many different time periods and in many different geological environments. 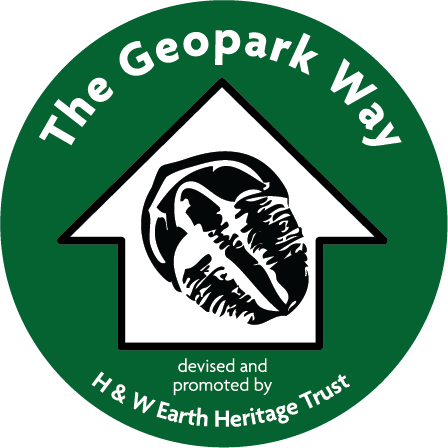 This trail is an introduction to time travel through the geological periods in the magnificent setting of Worcester Cathedral. The cathedral has been the subject of several phases of construction and restoration. As you walk around you will see that different architects have used a diverse range of building stones in their work. This guide identifies and explains the origin of some of these stones. This building stones trail takes two to three hours to complete. The maps in the guide show you the routes which can be used to explore the places described. You can look at rocks containing fossils of creatures which lived in clear tropical seas, see channels of streams which crossed a semi-arid land surface about 400 million years ago, the building stones used in churches or abandoned valleys which no longer have a stream. Quarrying occurred at Tank from 1870-1970, with the tough, hard igneous rocks being used as a source of raw materials from building stone and road aggregate. The rocks quarried are Diorite and Granite belonging to the Malverns Complex. 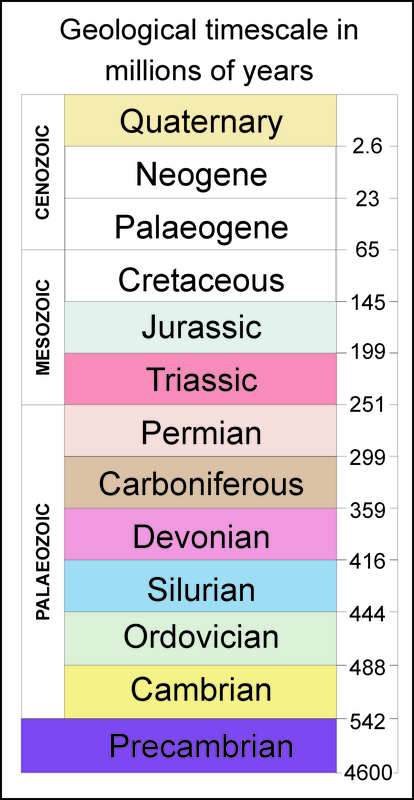 The origin of these rock types tells a long and fascinating story about the position and shape of the continents during the Precambrian. The short trail around the quarry explores this story by examining the different types of rock to be found within the quarry and in outcrops on surrounding slopes. Great Malvern is characterised by the presence of the local Malvern rock. However it is also possible to see a number of other rock types used as building material. This guide aims to introduce the visitor to aspects of geology through the use of building stones, both local and far-travelled. In addition, the trail illuminates the connection between the development of the town on this site because of its geographical location and the natural resources of water and stone. This trail takes approximately one hour to complete. This 49 page booklet takes you on a figure of eight trail 13km (8.2 miles) long and links four Champions Sites; Gardiners Quarry, Dingle Quarry, Westminster Bank Quarry and Tank Quarry. In addition to the detailed descriptions of the fascinating and variable geology seen on the Hills, the booklet also describes the biological and historical features seen at each site. The trail can also be walked as a linear 6.5km (4.18 mile) route. This walking trail covers a diverse range of landscape and geology features. The visitor will take in views across the relatively flat Severn Plain and compare them with views across the rolling limestone hills of eastern Herefordshire. The visitor will also walk over some of the oldest rocks in the British Isles, before descending through terrain that once graced the bottom of a warm shallow sea. The route follows part of an old salt way, a pack horse track used for transporting salt from Droitwich. The track ran from the Rhydd Ferry on the River Severn, across the Malvern Hills at the Old Wyche Road, down The Purlieu and on to Bosbury. This trail takes approximately two hours to complete. The ancient rocks of the Malvern Hills form a boundary between the relatively flat Severn Plain of Worcestershire and the gently rolling hills of Herefordshire. This guide explains these different landscapes – how they were formed and how they have been modified. It is a story of dramatic earth movements, warm shallow seas, hot deserts and freezing conditions over a timescale of 700 million years. This trail takes approximately two hours to complete. The rocks of the Malvern Hills form a natural boundary between Worcestershire and Herefordshire. This guide illustrates and explains the landscape that you can see whilst walking around Midsummer Hill, situated near the southern end of the Malverns. It tells a tale of deep Earth processes, tropical seas, deserts and ice ages. This trail takes about two hours. This 9 mile trail begins with a walk over the Precambrian rocks of the Malvern Hills before heading west down to West Malvern. From here the path continues westwards across ridge and vale topography created by the underlying Silurian rocks. Upon reaching Mathon the trail turns south-west, revealing evidence of the long-gone River Mathon. The trail visits former hard rock aggregate quarries on the Malvern Hills, as also on the hills around Mathon; these feature along with the sand and gravel pits in Mathon parish.